Our Outreach International travel medical cover is one of our most popular overseas travel insurance plan. Does anyone really need travel insurance in the first place? Well, if your regular health insurance doesn’t cover you while abroad, you do need some when you travel. Most Americans and even citizens of countries covered by national health services generally fall into this category. It’s 2 a.m. and you arrive at the airport for a connecting flight, only to find that your flight has been cancelled. Who can assist you with finding new flights to get everyone home? Your bag was lost with your heart medications inside. You need assistance locating your bag as soon as possible and have your emergency prescription filled. Who do you call? It’s your first visit to Africa, and your passport and wallet are stolen. Where do you turn for assistance in obtaining emergency cash, and how will you get your passport replaced? You’re involved in a car accident, and even basic medical treatment is not available. Who will help coordinate a medical evacuation? Your spouse becomes seriously ill and you must cancel your trip. What happens to your non-refundable deposits or pre-payments? You arrive in Belize, unlike your luggage. If it’s lost, who will help you find it? If it’s delayed who will reimburse you for covered necessities? If it’s stolen, who will reimburse you for its contents? Your tour operator goes bankrupt. Who will pay for your non-refundable expenses? Who can is able to assist in getting you to your destination? You’re walking down a street in Paris and twist your ankle. Who will assist you in finding an English-speaking physician? You are at a beach resort in Hawaii, and are forced to evacuate due to a hurricane, which has made the resort uninhabitable. Who can assist you in being evacuated? Who will reimburse you for your lost vacation investment? This one is fairly simple: without coverage, if you have to be medically evacuated home from a distant shore, you could very well be out $100,000 if not more. So it should be a no-brainer. This kind of insurance offers reimbursement (sometimes partial) for prepaid reservations if your trip is canceled, interrupted or delayed. If you have a particularly expensive trip, seats, and long prepaid reservations, it really makes sense. Most will reimburse you for items lost or damaged in transit, and cover expenses incurred because luggage is delayed Of course, if you leave your smartphone in your swim trunks and go parasailing, it’s not covered. Note that insurance companies will ask about your travel habits; so be sure you’re honest when you apply, as most have restrictions on particular “high risk” activities and sports. If you were to be maimed or die due to an accident while on your trip, it will pay whomever you designated as the beneficiary. If you become impaired from the loss of an eye or a limb, it will pay you. According to a recent survey for the US Travel Insurance Association, studies show that one in six Americans (17%) say their travel plans were impacted by medical conditions, natural disasters including severe weather, or mechanical or carrier-caused problems. Unfortunately only slightly more than 22% had travel insurance. Almost $2 billion worth of travel insurance products were purchased in 2010, the most current year where figures are available. An incredible 94 percent of the insurance products being purchased are related to travel interruptions. Medical coverage and evacuation coverage was also a popular insurance product being purchased for trips overseas. Also, 64 percent of travelers said that their health and safety were the most important consideration when deciding where to travel. Outreach Travel Medical is travel medical insurance for U.S. citizens traveling outside the United States with home coverage for brief returns to the U.S., and for non-U.S. citizens traveling outside their home country. 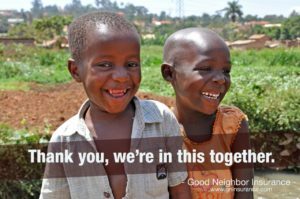 It provides medical benefits and international emergency care, along with a few extras to help with travel-related disasters. Medical Expenses, Emergency dental, Emergency evacuations, repatriation, flight accident AD&D. Limitations: Pre-existing condition coverage comes with reduced plan limits. No political evacuation is available for trips to a country that has had a travel advisory in the last six months. Call our travel medical insurance specialist at our toll free number 866-636-9100. 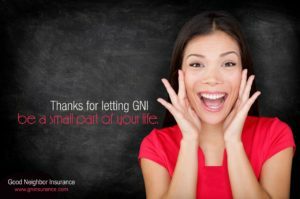 Or call us on our local number in Arizona is 480-633-9500 or email us for information at info@gninsurance.com. Our overseas medical insurance agents are here to serve you, our guests!